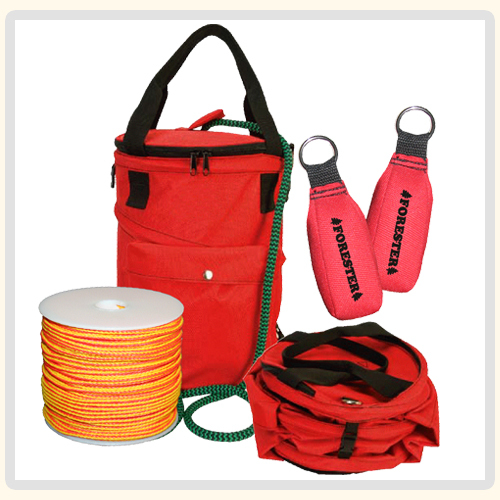 Introducing the FORESTER Arborist throw line kit with all the accessories needed for your throw line needs. An unbeatable value! Kit includes: 166' Super Slick Throw Line, Two 14 OZ Throw Bags, and a 15" Collapsible Rope Bag! 166' throw line is 100% slick super throw line. 166' x 1/8". 250 pound tensile strength. 14 OZ throw bags are aerodynamic and red color for Hi-Vis. 1" nickel plated ring for attachment.